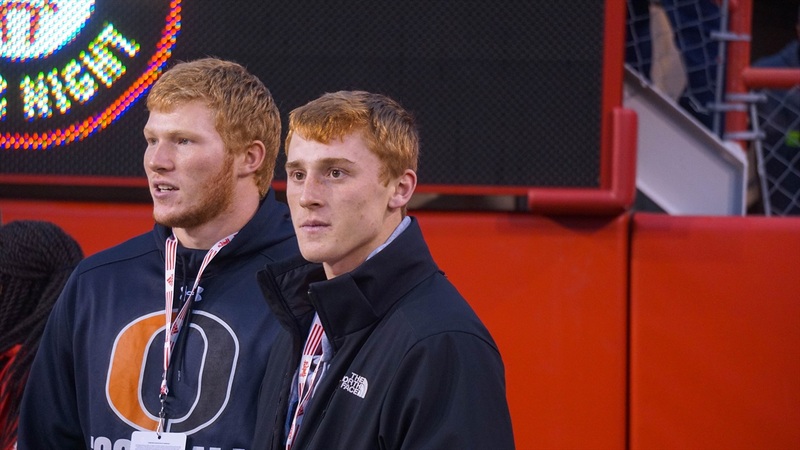 Nebraska didn’t host a lot of visitors on Saturday, but it did have a handful of important visitors on campus. One of those visitors was 2019 4-star quarterback Max Duggan‍ from Lewis Central High School in Council Bluffs, Iowa. The four-sport athlete – count him as a quarterback, pitcher, shortstop, two-guard and small forward plus a sprinter on the track team – made the short trip across the river for the game. I got a chance to see Duggan play Friday night against Thomas Jefferson High School and he was sensational. I was able to catch up with the athletic quarterback on Sunday to get his thoughts on his visit. Duggan has scholarship offers from around the country as word has gotten out about him to college coaches. Iowa, Iowa State, UCF, Penn State and Georgia are just some of the schools to have offered Duggan. He tells me that he couldn’t really pinpoint which schools are recruiting him the hardest to this point. The schools looking at him run a variety of offenses so I was curious to know which type of offense he was most comfortable with potentially running in college. One of the really cool things that has happened with Nebraska’s home games is that a few of the local commits try to make it to every game. Three-star offensive line commit Will Farniok‍ and 4-star tight end commit Cameron Jurgens‍ have been staples on the sidelines. Duggan was happy to spend time with those guys. Ultimately, Duggan would like to make his decision by the spring but wants to wait until after this current college season in case there are any coaching changes. He does have some criteria set up though for what he’s looking for in a school.